The Ness Islands Railway is situated in Whin Park which is on Whin Island in Inverness. 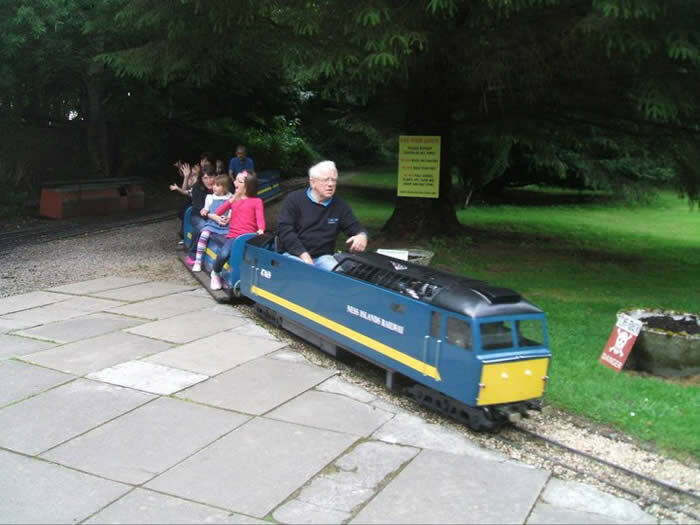 It is Britain’s second most northern public miniature railway and opened in 1983. The track was rerouted in 1989 to incorporate a 140ft span iron bridge built in 1837. The line is a dumb bell folded over on top of itself, with the station on the C shaped single line in the middle. There are currently two diesel locomotives at the railway, both built by Mardkye plus a steam locomotive of the Tinkerbell design with open cab. Opening Times: Easter - October Weekends and daily during school holidays. Trains run from 11:30am to 5pm. NIR Page was last updated on the 9th August 2013 with loco details updated. © 2013 Copyright - Miniature Railway World, All Rights Reserved.